Feral and the Enforcers are watching you. 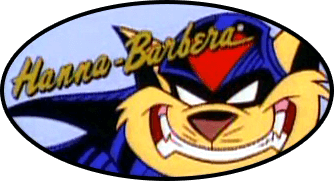 As our little corner of the internet surpasses its third year online, we’ve experienced some interesting times regarding SWAT Kats. Lots of things happening on the kickstarter, Twitter, YouTube, Facebook and Tumblr locations. A lot of this is due to everyone’s collective efforts to support the show and the fandom. So, a big thanks to everyone! With that activity, as expected, this forum has also received a number of new members and has steadily grown during that time. While we may never achieve the size and status of the swatkats.com forum (from which many of us can track back to – even earlier to some of the message boards and usenet groups), in conjunction with swatkats.info we have become a visible presence on the internet. With that visibility comes a certain level of responsibility. There’s a trust that the show’s creators and members of the fandom place upon those who are the stewards of SWAT Kats. A trust that expects the show many know and love to be treated correctly and represented in a way that’s not detrimental to its enjoyment, or counterproductive to the efforts of its promotion and potential renewal. It’s a responsibility that must be exercised in what is sometimes a haphazard mix of well-intentioned kindness and blunt pragmatism. Ultimately, what everyone wants is a pleasant community, a place to have fun and share like-minded content, ideas and discussions. To preserve that idea, sometimes sacrifices regarding personal preferences or ways we would behave elsewhere have to be made. For example, I strive to set aside personal politics regarding current events whenever I am engaged in something SWAT Kats related. I know that this show isn’t my platform to try to push an unrelated agenda, knowing that those who seek out The Radical Squadron aren’t doing so to reflect their ballot choices (and if you are, your energies would be better spent elsewhere ). This place is supposed to be about fun and entertainment. We are not a location that’s well-suited for serious concepts or societal dilemmas. The internet is filled with other places that have the resources and supportive communities for those who want to explore these harder topics in greater depth. Why am I writing all of this? A number of members have privately voiced their concerns to forum admins that the content on MegkatCity.com has been on a slippery slope. Other members have expressed additional clarifications, particularly in light of what have become contemporary standards in western animation and children’s television. Intimidation or threats via forum posts, private messages or any other means of communication – there is no warning for this, members who do this will be banned - if it is discovered you do this elsewhere you will be banned. *Note: This list can be updated at the site admin's discretion in response to unforeseen needs. A warning, if appropriate, will be provided before any administrative action is taken. Members who engage in any of these on this forum will be warned, but if the activity continues then further measures, which may unfortunately include suspensions or bans, will have to be used. I hope it doesn’t ever come to that. I don’t take any joy in waving around the ban consequence, but as forum moderators it’s our last recourse when discourse has, well, run its course. And, I also hope that we’ll be able to keep MegakatCity.com a positive place and focal point of the fandom that’s inviting to as many people as possible. These are exciting times for SWAT Kats, and I look forward to seeing where things go with all of you! Thank you for your time, and thank you for your understanding! If there are any questions, please do not hesitate to ask. If you have a question you’d prefer to ask anonymously, you can always PM me, Felony or Poecat. The answers will be shared in this thread with your anonymity preserved. By request, please advise that a new rule specifically regarding posts that are designed for self-serving and attention-getting purposes related to the pursuit of generating or escalating drama is now in effect. These posts will be deleted and the individual making the post will be given a warning. If this is done repeatedly, the individual may be banned at the admin's discretion.